Next on your well-formulated and thought-out grocery list: Oats! But only to find yourself glaring at all the oat varieties once arrived to the cereal aisle... Going well beyond “quick” and “old fashioned” oats, oat bran and rolled oats more than likely have been branded onto some sort of cereal packaging. So what should you choose? 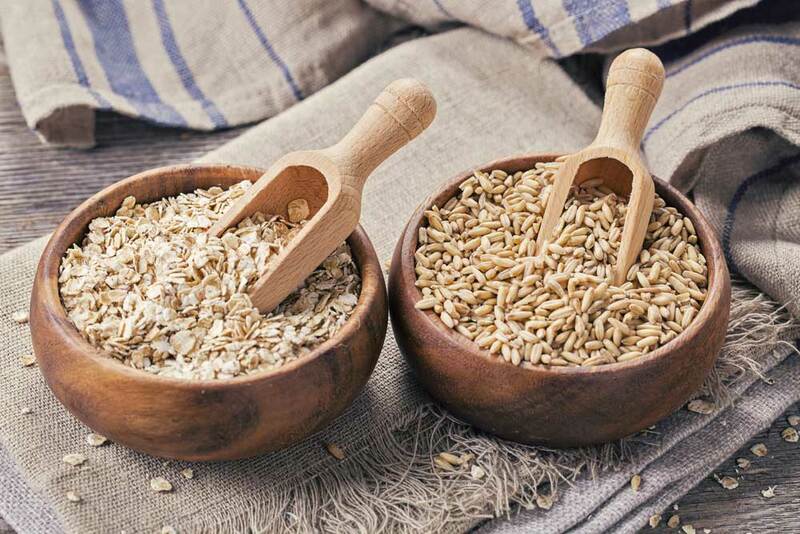 BistroMD formed your grainy guide to oat bran versus rolled oats! Broadly speaking, oats are considered a grain. Oat bran and rolled oats differ related to their anatomy and mode of processing, thus tweaking their nutritional value. 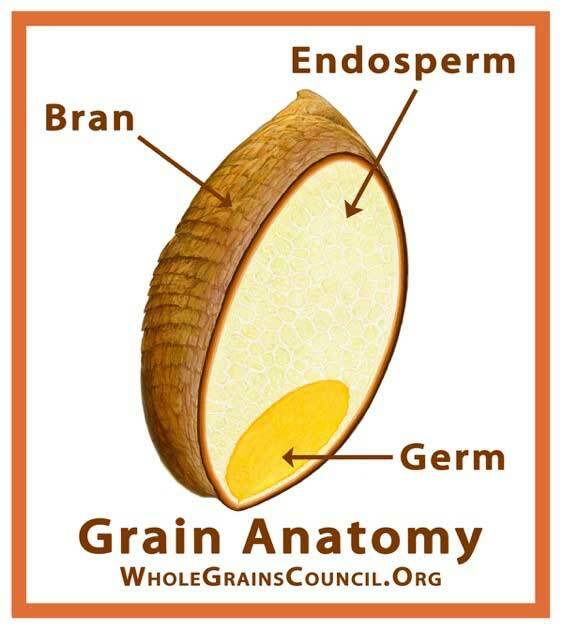 First off, a whole grain or kernel contains three parts: the bran, germ, and endosperm as represented below. The bran, or the most outer-layered skin, is completely edible and rich in fiber, B vitamins, and antioxidants. 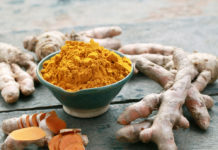 The germ, also known as the embryo, is also rich in B vitamins along with protein, minerals, and healthy fats. The endosperm supplies the germ with nutrients and is the largest portion of the kernel, containing starchy carbs, protein, and vitamins and minerals. So when it truly comes down to the most healthful grain product, whole grains (also known as groats) often take precedent. 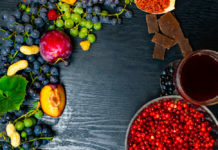 When grains are processed, and transformed into a refined grain, the bran and germ are removed, thus removing some of the healthful components that come along with them. But despite the removal of the kernel’s components, cereal products still have the ability to withhold a nutritional value, including oat bran. Suggestively named, oat bran is produced from the outer bran including its multiple layers – exocarp, mesocarp, and endocarp. And as mentioned above, whole grains contain all three layers, proposing oat bran is actually not considered a whole grain. Though the germ and endosperm are absent, remember the bran still provides fiber, B vitamins, and antioxidants. Rolled oats is synonymously termed the notorious “oatmeal.” Unlike oat bran, rolled oats are considered a whole grain. After being hulled and harvested, oats are mashed or “rolled” down to the well-known flattened flake. But despite the physical differences, both are healthful breakfast options and additions. As noticed below, the nutritional profiles of each highlight the disparities related to their mode of processing. For instance, oat bran contains lesser amounts of protein related to its stripping of the germ and endosperm. Also noticeable, is the larger carb content in rolled oats – the endosperm, supplying the starchy carbs, is absent in oat bran. In addition to varying face values, rolled oats are richer in vitamins and minerals including potassium, folate, and selenium. All-in-all, oats are bountiful in healthful nutrients and benefits, especially when compared to sugary breakfast pastries and muffins. Oats are quite versatile and can be added into baked goods, created into a healthful granola, or simply enjoyed on their own. Check out bistroMD’s “oat” of this world creations and reasoning on why you should be making overnight oats! Next articleWhy Is It Important to Eat Green Vegetables?